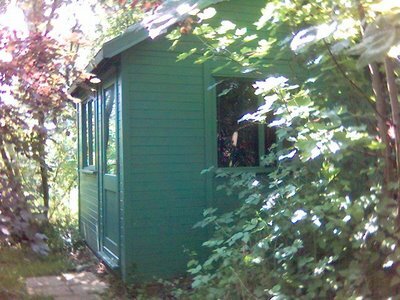 Man in a Shed: "We have been mortgaging our children's tomorrow to fund our today"
"We have been mortgaging our children's tomorrow to fund our today"
This quote is from the Bishop of London, Richard Chartes. Its more trouble for the Gordon Brown/BBC line that we need to get banks lending to people again to get the high street going. Most of what Brown has done has now failed.. The VAT drop, the stamp duty reduction, the Swedish Brown bank salvation plan. The Church of England is a sinner who has repented late in the day when Brown and the New Labour liars and spinners are concerned. Neither the less we should welcome them in the fight against what can only be described as the Evil of New Labour and Gordon Brown's regieme. 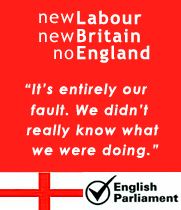 Will the Church of England ever actually stand up for England and the English though? I think some Bishops will, and some won't. The Church of England is disunited right now. Its worth remembering that there are few sights like the cross of St George flying over a country parish church to stir the soul. PS I'm in Liverpool just now and was very pleased to see the English flags flying over some of their main civic buildings.